Santorini Black with Ebony Oxford Perforated sports Leather, 1 Former Owner backed with Full Land Rover Service History, Stunning top of the range example! SPECIFICATION INCLUDES:- Black design pack, 20" Autobiography alloy wheels in black(unmarked), Reverse camera, Parking distance sensors front and rear, Lane departure assist, Xenon headlights with LED running lights, Auto dimming rear view mirror, Electric/heated/folding door mirrors with memory + auto dipping and puddle lights, Bluetooth telephone connectivity, HDD Premium navigation, audio server and CD storage, Audio Connectivity System with iPod, DAB Digital radio, Voice control system, InControl Touch plus - Meridian 380w audio system with CD/radio, 11 speaker + subwoofer, Drive select with paddle shift and sport mode, Electric front seats with memory function, Heated front seats, Cruise control, Auto climate control, Ambient lighting, Luxury carpet mats + Much More! With its distinctive exterior styling and a cabin that has been finely crafted to provide an incredibly elegant and refined space, the Range Rover Evoque demands to be noticed. It's an exceptionally well-appointed compact SUV that successfully manages to blend the practicality of a hatchback with the prestige of a luxury car and the kind of off-road ability that Land Rovers are known for. 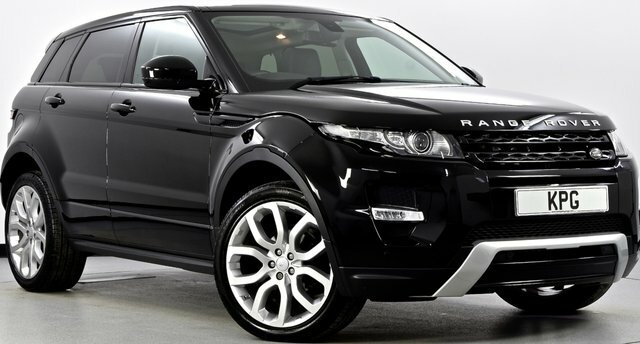 Get behind the wheel of a used Range Rover Evoque in Bathgate by paying a visit to Kaim Park Garage Ltd. We stock a superb collection of quality used vehicles, with options to suit every budget. Take the opportunity to view our complete range online now.